You can use Himalayan salt lamps in feng shui applications to assist in the balancing of chi energy. 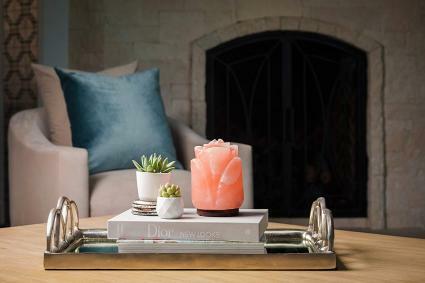 The Himalayan salt crystal acts as a purifier with its natural ionization properties that serve as an air scrubber. According to many feng shui practitioners and others, the Himalayan salt crystal acts like a type of chi energy air scrubber. It's believed that negative ions are released into the air during the heating process from a candle or lightbulb. This process cleans the air of harmful properties, making it an ideal feng shui tool. 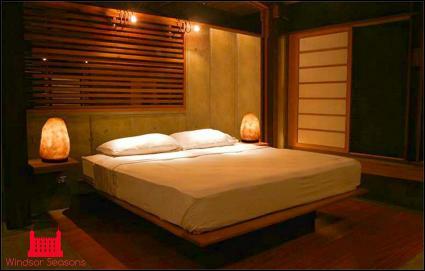 One of the popular places for a Himalayan salt lamp is the bedroom. Impure particles, such as allergens, bacteria and molds are constantly moving throughout your home via moisture in the air. The salt crystal is believed to draw moisture to it, along with the attached particles. The salt crystal is said to be crying or sweating when moisture accumulates on it. This moisture eventually evaporates under the lamp heat. You can place a lamp on the nightstand or bedside table for excellent results. A pair of lamps can be set on either end of a dresser. If your bedroom has a sitting area, place a lamp here. You can also place a Himalayan in your living room, home office, meditation room or other rooms where you or other family members spend time. The lamp will serve to scrub the air of harmful allergens, bacteria and molds and even pet dander while giving a peaceful relaxing glow. The rock salt was originally formed in the ocean (water element). The salt crystals contain minerals that are metal elements. The use of candle fire or lamp light is a fire element. Salt crystals are mined in rock quarries as an earth element. If your lamp base isn't wood, place live plants near your lamp to introduce the wood element. (Don't place live plants in bedrooms.) For a bedroom, place your lamp on top of a piece of wood to complete the five element cycle. 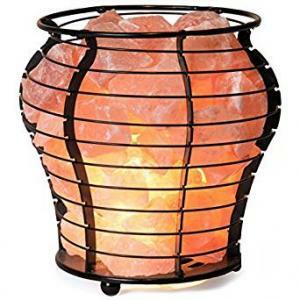 There are many beneficial reasons to include Himalayan salt lamps in your feng shui décor. Some of these are health-related, such as better restful sleep, reduced stress from allergen attacks on nasal passages and lungs, and negative ions to combat static electricity. You may leave your Himalayan salt lamp on at all times. The salt absorbs moisture so the heat will prevent it from sweating, although in high humdity it can even pool. If you live in a high moisture environment, adjust the use to longer hours as tolerated. Keep in mind that balance is always the key to auspicious feng shui. A Himalayan salt lamp is not the same as a feng shui salt cure. A salt cure is used in areas of the home that are afflicted by a visiting flying star, such as the 2 black star (illness) or the 5 yellow star (disaster) moves into a sector. While you might think a Himalayan salt lamp will accomplish the same thing, it isn't powerful enough to neutralize a negative flying star. A feng shui salt cure is made up of distilled water (preferably), sea salt or rock salt and six coins. All of these are placed in an open jar and set in the afflicted area. A plate is advised to be placed underneath the jar since this concoction draws negative energy that accumulates and grows out and around the jar. 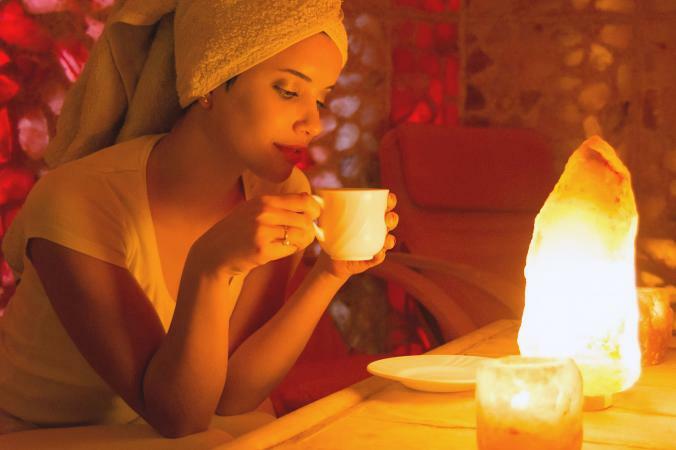 You can use Himalayan salt lamps in feng shui applications. Tie in the five elements theory with this lamp and enjoy the benefits of balanced chi energy.